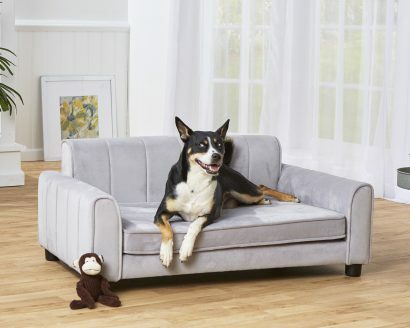 cushion on the Panache Sofa. 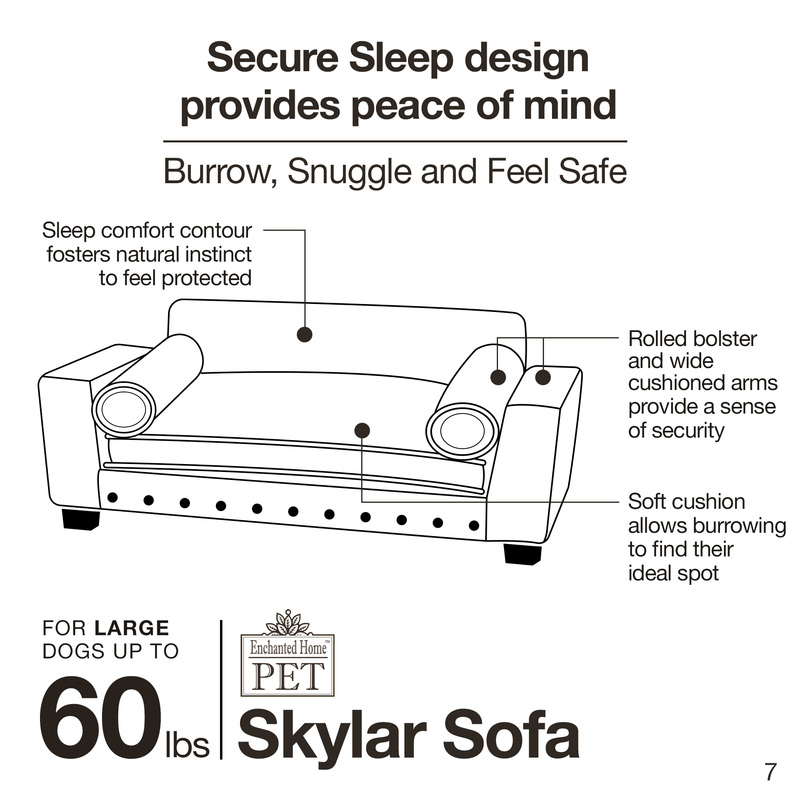 Its curved shape features our Sleep Comfort contour style to provide a sense of security while sleeping. 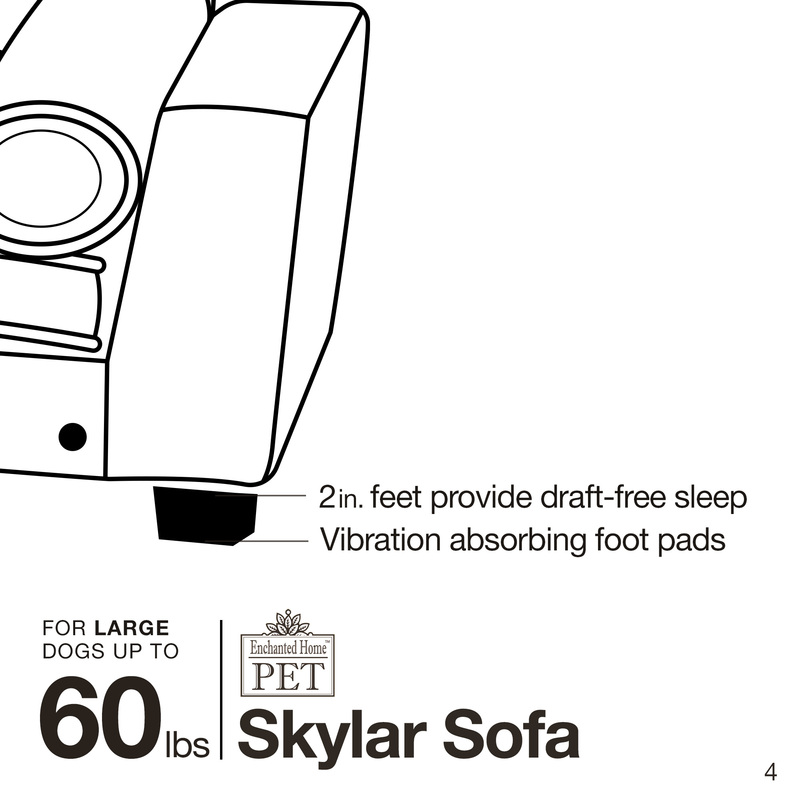 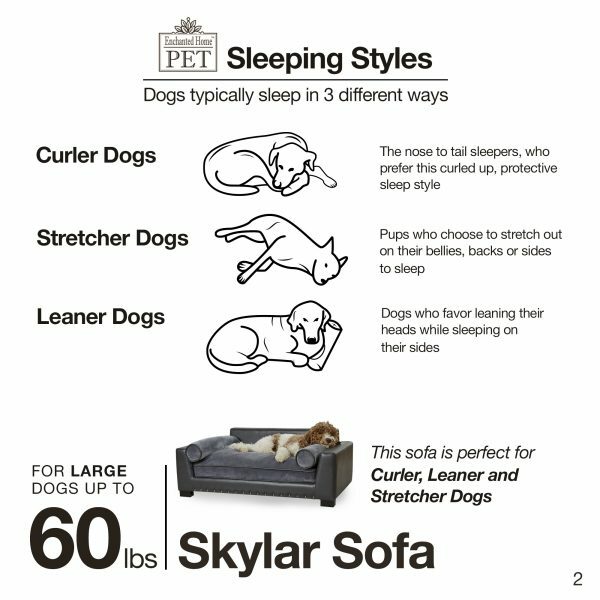 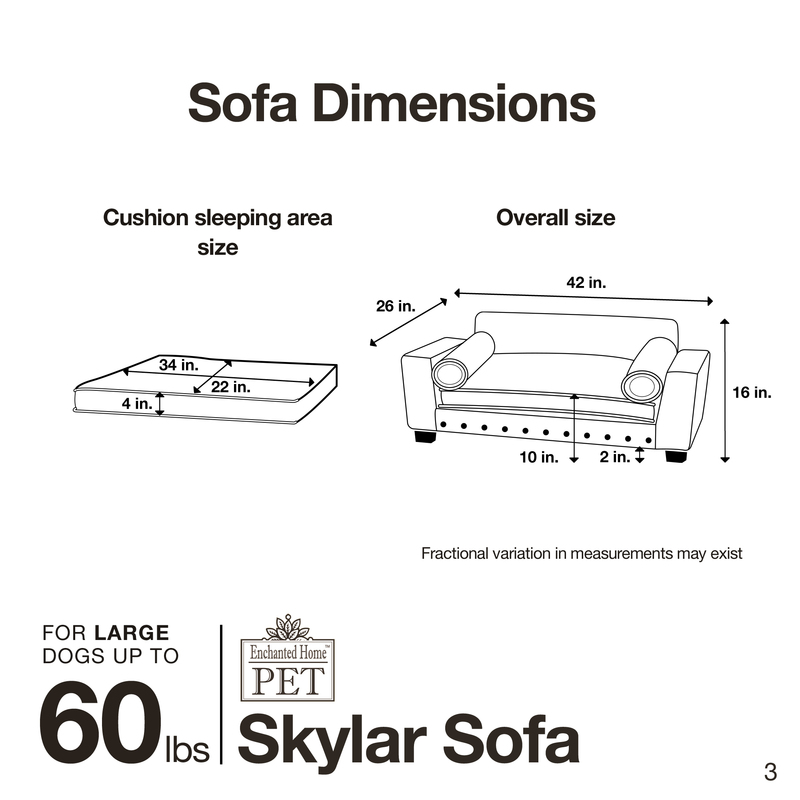 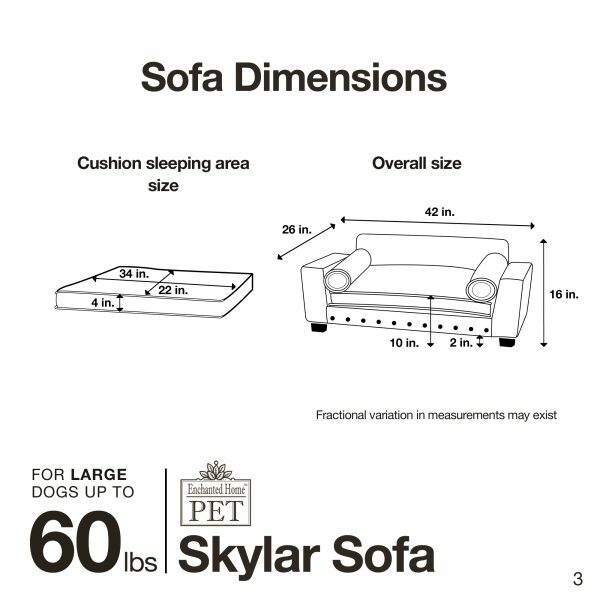 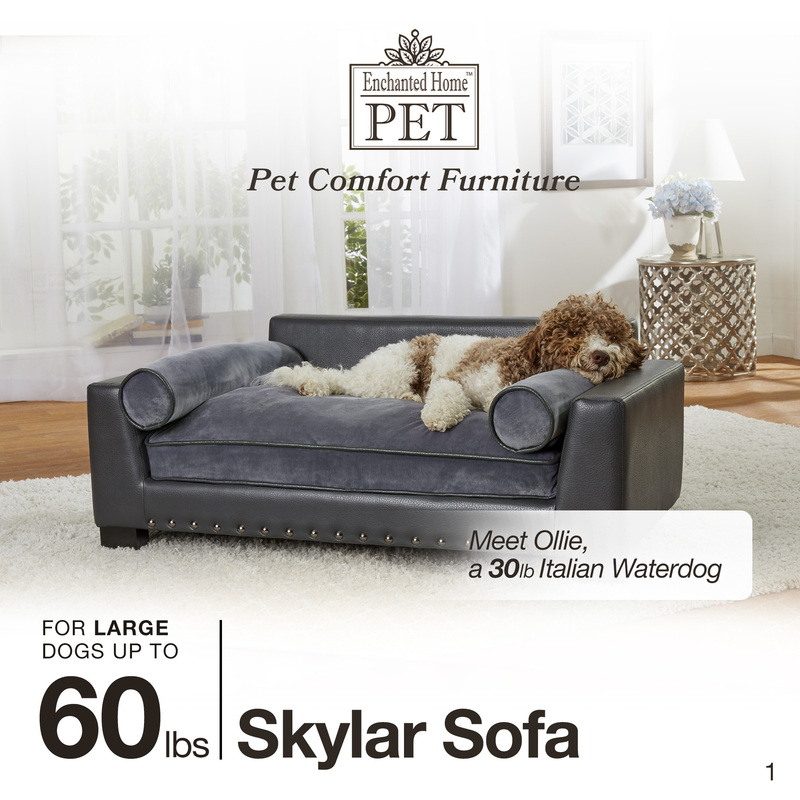 Perfect for the pet who loves to curl up. 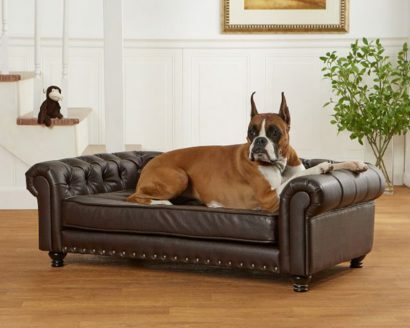 Frankie, a 36 pound Mixed breed looks and feels great on this gorgeous Ludlow Sofa. 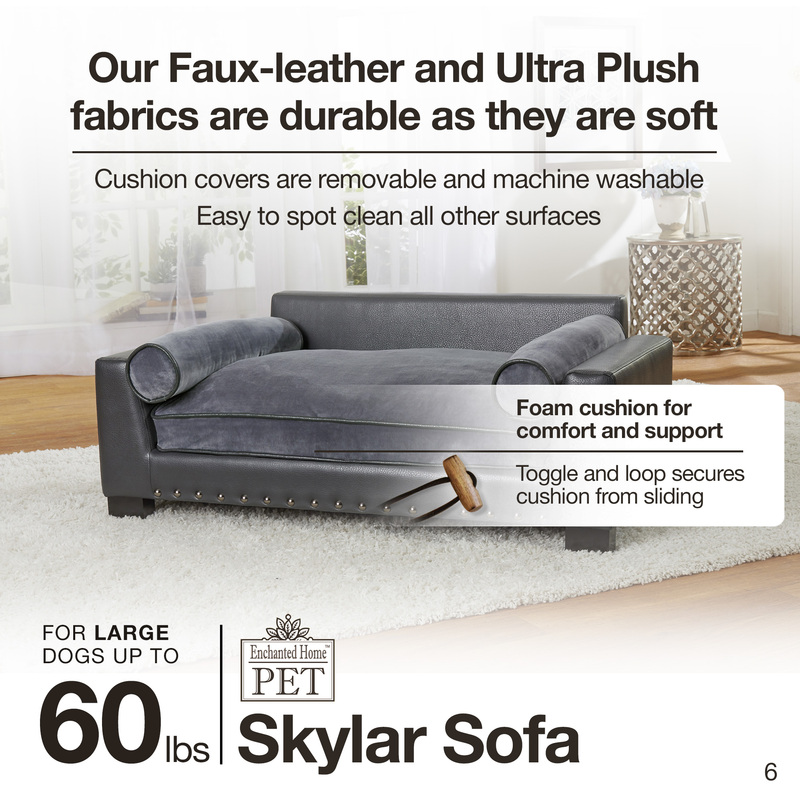 The plush, channel tufted style with generous, wide, cushioned arms offers a place for her to lean or curl up comfortably. 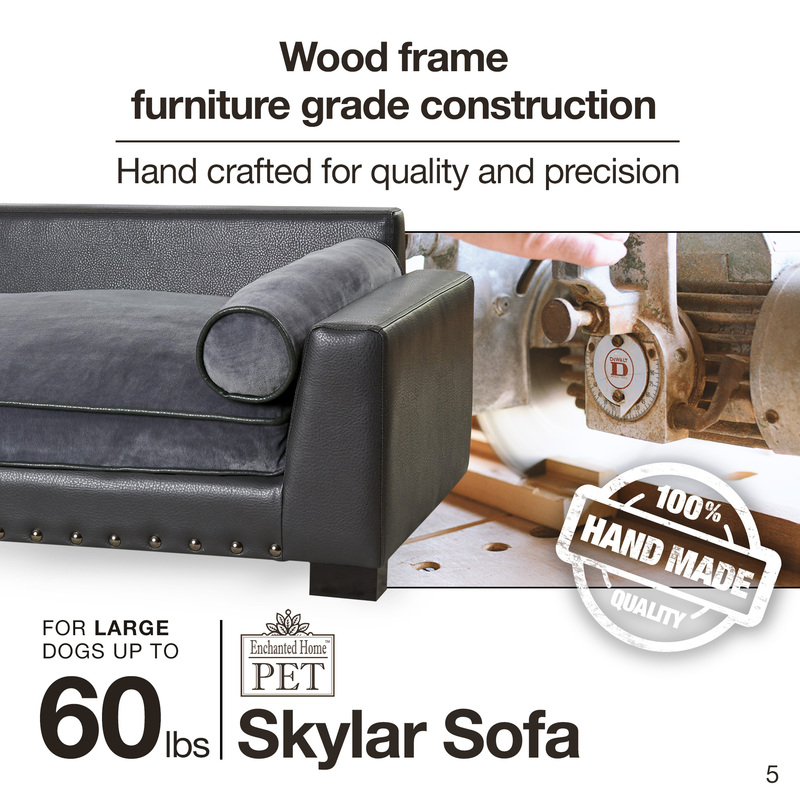 Constructed with durable, furniture grade construction. 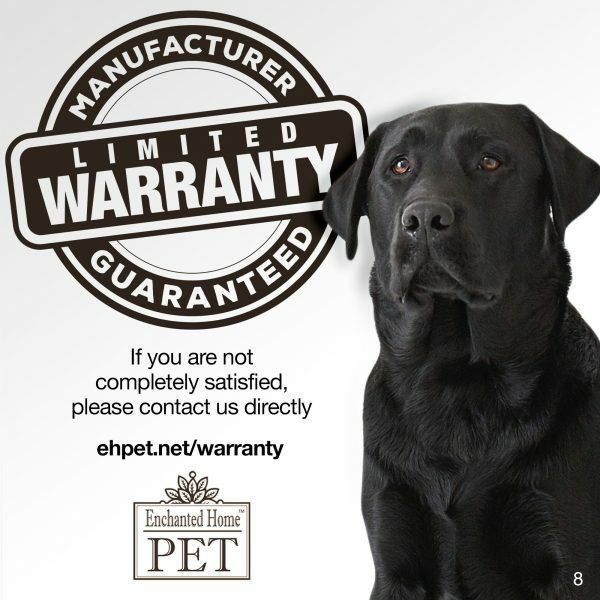 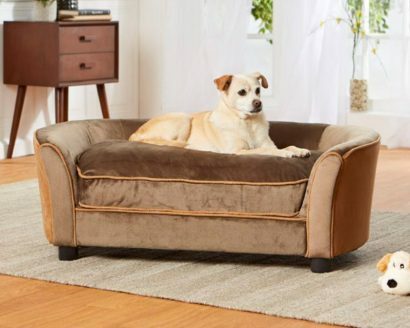 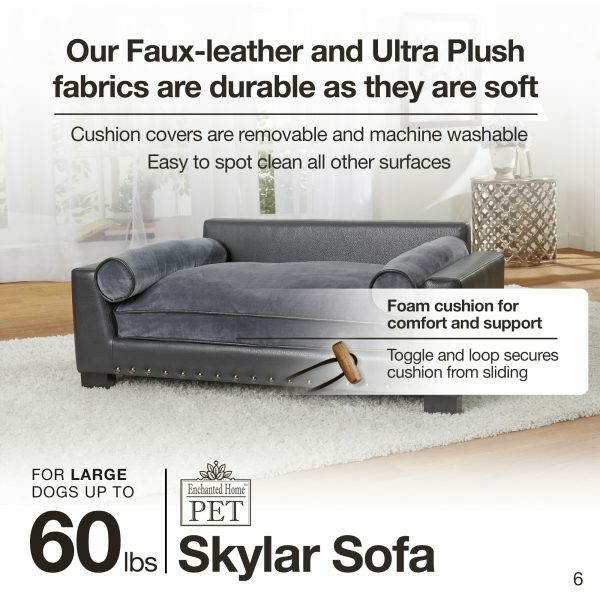 The Ludlow is perfect for pets up to 60 pounds.